Call Today & Request a Free Estimate! Welcome to Triangle Window & Pressure Cleaning, the premier provider of window, gutter, and pressure cleaning services throughout the Triangle area since 2003. Our commitment to customer satisfaction is unrivaled, and with our 100% Satisfaction Guarantee, you will not pay a dime until you are completely pleased with our work. 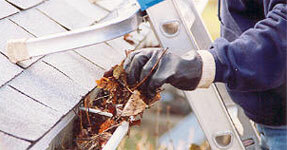 Over time, your home or business’s exterior surfaces and gutters become visibly dirty from the buildup of dirt, pollen, mold, mildew, cobwebs, and leaves. Cleaning all of your windows, gutters, siding, decks, driveways, and sidewalks is a very big job, and many people struggle to find the time or lack the proper equipment to perform this maintenance. If you are having trouble keeping up with all of your exterior cleaning needs, simply call upon Triangle Window & Pressure Cleaning and allow our experienced professionals to lighten your load. We offer comprehensive window and gutter cleaning using only the most effective methods and cleaning products available, and we also provide full service pressure cleaning for a variety of surfaces including siding, decks, driveways, parking lots, and sidewalks. Every member of the Triangle Window & Pressure Cleaning team is fully bonded, insured, and thoroughly trained to deliver on our promises with every project. Our owner even visits each job site personally to ensure that our principles are always upheld. We guarantee that you will be completely satisfied with our work, and that your home or business’s windows, gutters, and exterior surfaces will look like new when we finish your project. Call us today at 919-678-9019 to schedule an appointment for an on-site assessment and a free estimate. Jose and his crew arrived in good time on Friday and were so professional. They worked consistently and quietly and were thorough in their efforts. Not only am I pleased that I contacted you for service, but I’m absolutely delighted that you were able to accommodate my schedule so swiftly. They did a great job. Steve, the owner, was immediate with his proposal response, very professional and personable. The employees who did the work were very hard working, diligent, careful and conscientious. I will definitely use them again. Steve’s team pressure washed our house, driveway and cleaned the gutters. I can’t speak more highly of this vendor and their service. From the beginning when Steve came out to provide a quote, everyone we dealt with from Triangle Window & Pressure Cleaning were courteous, responsive and the quality of work was outstanding. The workers showed up as scheduled and took great care in their work and attentive to all details. Top Notch! We used Triangle Window & Pressure Cleaning for window cleaning and gutter cleaning. Steve is the owner and I have been very happy with them. I am the chairman of the clubhouse in our neighborhood and he has done the windows and gutters there as well. Everything has been great, including the price. We will use them again this fall. They are very nice, very professional and very knowledgeable. 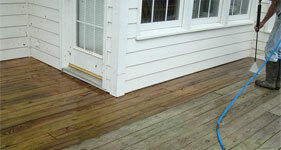 I used Triangle Window & Pressure Cleaning to pressure wash my deck. They were terrific. He’s very responsive and he calls right back. He cleans up after himself and he did a good job on the pressure washing. Steve Sebastian and his Triangle Window & Pressure Cleaning team made many of the windows in Southpoint Manor sparkling clean. They were a delight to have working around our homes, with their attention to detail and high quality results. He’s on our A-list for recommended resources. Triangle Window & Pressure Cleaning has been cleaning our windows, gutters, and power washing our home since we moved to Raleigh in 2005. Steve and his employees are courteous, prompt and neat. He is always accommodating to our schedule and any special requests. We positively would recommend Triangle Windows. 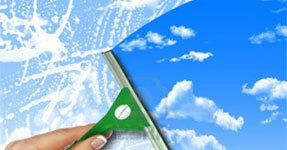 I have been using Triangle Window Cleaning for several years now and refer them to all of my clients. Not only do they do a wonderful job cleaning windows, they also can power wash your home and driveway, as well as clean your gutters. They just power washed my driveway and it looks like new! For those hard to reach light fixtures, they perform wonders! Steve and his folks are easy to work with, dependable and trustworthy. I highly recommend them! Triangle Window & Pressure Cleaning provides window, gutter, and pressure cleaning services to communities throughout the Triangle area of North Carolina including Cary, Morrisville, Apex, Raleigh, Durham, Chapel Hill, North Raleigh, Research Triangle Park (RTP), Holly Springs, Garner, Wake Forest, Fuquay Varina, Knightdale, and throughout Wake, Durham, Orange, and Chatham Counties.